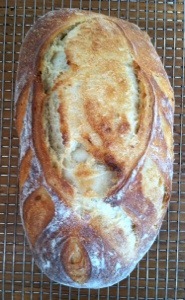 Shuffling about in my cozy pajamas while I bake, oh so aromatic, garlic sourdough, the guilt is almost overwhelming. 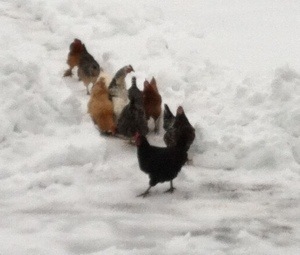 My poor girls are not so sure they like this cold white stuff. They certainly are protesting though, the nesting boxes are sparse.